The government of Zambia is investing US$1bn for the development of aviation infrastructure in the country to increase aviation activities. 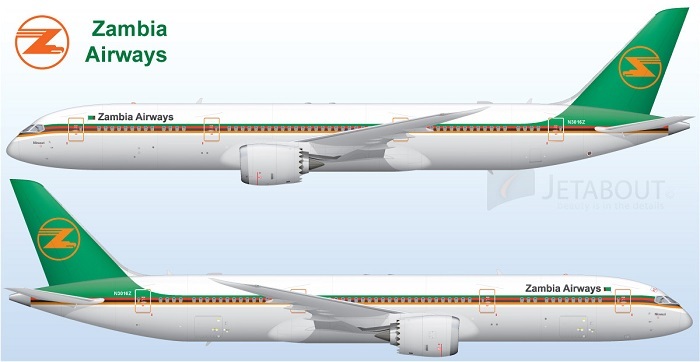 Plans for a National Airline to ensure availability of competitive air transportation to and from Zambia has also advanced. According to Brian Mushimba, Transport and Communications Minister, the government is investing heavily in the aviation sector through the development of infrastructure in all the provincial towns in the country. Furthermore, the development in the sector includes the expansion, modernization and improvement of airports across the country. Nonetheless, the development facelift also applies to the domestic provincial and district airports as well as aerodromes. Additionally, during the official opening of the Civil Aviation Authority (CAA) seminar in Lusaka has increased the enumerated increased aviation activities and infrastructure development that result to increased aviation activities and environmental pollution from emissions. With reference to the enormous investment, Mr Mushimba comments that, to take full advantage of that investment, a national airline is needed to play the catalytic role to accelerating economic development that is needed. However, the government has advance its plans to establish a national airline scheduled to commence operations in the near future to ensure availability of competitive air transportation to and from Zambia. The country has also constituted a national working group that spearheads all carbon emissions related issues in aviation. The group is known as the Aviation Emissions Group. The aviation emissions group is composed of the CAA, Zambia Airports Corporation Limited, representatives from airlines, aviation fuel suppliers and other stakeholders that have interest in Carbon emission related issues. Gabriel Lesa, the CAA Director General noted that international aviation has a vital role in global social economic development hence there is need to manage aviation to continue developing in a sustainable manner. In fact the Zambian aviation sector commits to promote a green economy through implementing agreed national carbon reduction plans effectively. The green economy implementation also covers management of aging aircraft. This helps reduce rate of emissions of carbon dioxide which depletes the ozone layer. The Civil Aviation Authority (CAA), seeks to provide effective and efficient regulatory services to the Aviation industry. The authority also ensure legal compliance and provide safety assurance with value for money for all air transport users in Zambia. In it’s over sight capacity, the CAA operates through its core values in pursuance of its corporate objectives. Safety Management Systems among others.